Behind every successful search engine optimization strategy is a great link-building plan to bring in new inbound links to your website's best pages. This is also the step where many SEO strategies fall apart. 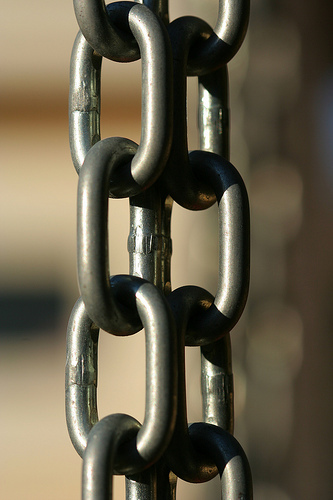 Link building is hard work, and it's very different than what many people have done before. However, inbound links are still the most important ranking factor to Google and other search engines, so it is critically important that you do great link building if you intend to rank for competitive keywords. 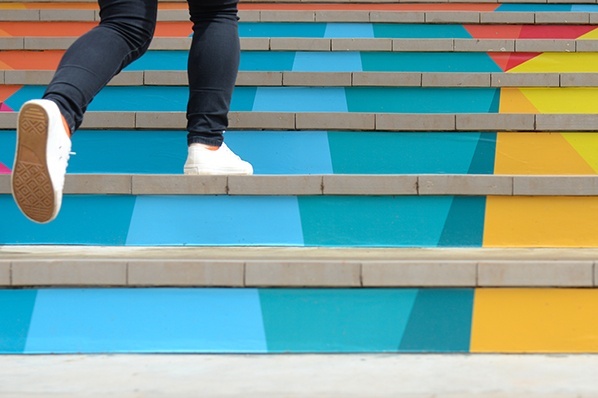 Because one of the best link-building tactics available is guest blogging, let's examine a step-by-step plan for how to get started using guest blogging for link building . When you are ready to begin leveraging guest blogging to build links to your website, begin by conducting research to identify the potential blogs you could be writing for. Choose a handful of your favorite keywords that you don't yet rank for (or rank well for), and do a search for them. Check out the results. Do you see any blogs in there, or do those websites you come across have a blog on them? Don't be afraid to dig a couple of pages into the search results either. Find a handful of blogs that are focused around your topic. If you aren't able to find enough blogs right away, try searching for other keywords and looking for different sites. Once you've found a handful or so, you'll have enough to get going with. 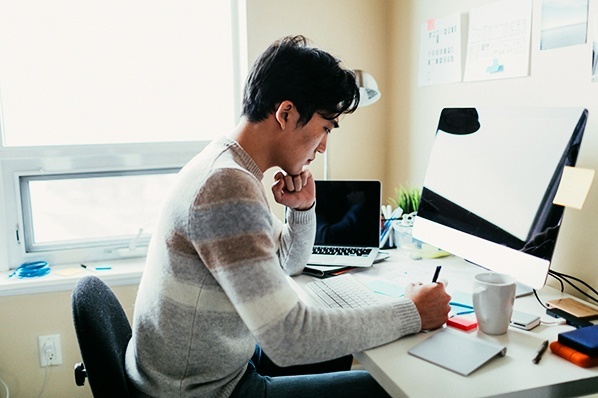 Write out a handful of ideas for blog posts , even if it's just the headline. It's important to start your idea generation and writing process early so that when other blog owners are ready for your blog post, you have something written and ready to go. It can also be helpful to have a list of ideas to suggest when you're working on your pitch for the blogs you'll be contacting. For example, you'll be able to suggest some of the topics you've been writing about as possibilities. This will help you write a more compelling email, especially as you get started with guest blogging. Identify the blog's administrator or use the "Contact Us" page to reach out to each of the blogs you're interested in writing for. Introduce yourself plainly, and explain to them that you'd love to write a guest blog post for their site in return for an inbound link. Don't be coy about it; just be straightforward and honest. Almost all blog authors are very interested in receiving more content for free, and in exchange, they are happy to link back to you. 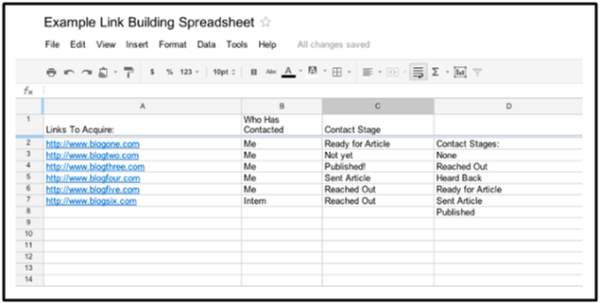 As you reach out to authors, keep a spreadsheet documenting each blog you've reached out to as well as the status of that outreach (e.g. reached out, ready for article, sent article, etc.). This can help you keep track of who needs posts soon, who doesn't accept guest posts, who you might need to follow up with, etc. Below is an example of what this spreadsheet might look like. Keep in mind that a lot of blog authors get guest blogging pitches pretty regularly. They're used to seeing this kind of request, even if you aren't used to making it yourself. Be comfortable, straightforward, and honest about your intentions. Write a message that you would want to receive if it were your blog. You can (and should) also offer to share the post via your own social networks when it gets published to help it reach maximum exposure. Write your articles as soon as replies start coming in from other blog owners. This is the easy, comfortable part for you! Create the content , and send it back to them in a timely fashion. Most blog owners will prefer the post in a Word document or other simple text format that will make their lives easy. If you have images to include with the blog post, don't embed them in the document. Just attach them to your email alongside the document and indicate where the images should go, along with a credit to the images' sources. Make it as easy as possible for the blog author to load your guest post into their blogging tool. If it's easy for them, your post will likely get published sooner, and they will likely be more responsive to other requests or offers in the future. Now for the most important part. As you write each post, include 1-2 links to the web pages you want to drive traffic to. Include these links as anchor text using the keywords you want to rank for in search engines. This is your chance to design your perfect inbound link, so make sure you get what you want! The following would be a great inbound link for a blogger who wants to generate more traffic to http://www.hubspot.com/lead-generation-marketing-hub by ranking for the keywords lead generation , used here as the anchor text of the link. Finally, make sure that you also include a two-sentence byline for the post to explain who you are and why you're writing about this. In your byline, link back to your own blog so people who want to learn more about you can easily find more of your great content. Make sure you have an analytics package for your website to track your visits, leads, and SEO benefits from your guest blog posts. Make sure you're sharing your guest posts on your own social networks as well, and track your website's activity as your guest posts get published. In addition to link building value for SEO, you might see other quick results as readers click on the links in your guest blog posts and come through to your website and blog. This 5-step guide can help you quickly and easily earn a number of valuable inbound links to critical pages on your website in return for the content creation effort that you would have invested anyway. In addition to link building, guest blogging has a number of other benefits, which include spreading your brand name, increasing your recognition, and grow your blogging and social media reach by exposing you to new audiences that might also are interested in the topics you write about. 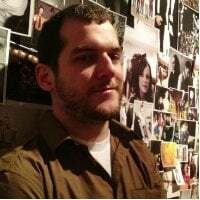 What other strategies have you used to succeed with guest blogging to improve your off-page SEO ?